Going Nutty! : Field Trip! Let's Go! 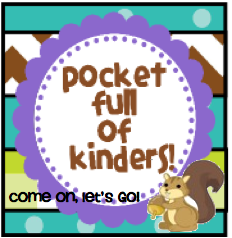 Not me...I'm over at Pocket Full of Kinders! You crack me up! I found you hanging out at Pocket Full of Kinders and just had to come for a visit. I think I have found a job for the summer . . . I am going to be a envelope makin' machine! Thanks for the idea. I am a followin' ya! Pop in for a visit if you get a chance. You OH so HAVE to open a etsy shop with your adorable coffee cozies!!! I have seen them on 2 blogs and am totally jealous...lol! They are just adorable!!! !